AT first blush, The Story of Ferdinand comes across as an innocent and heart-warming tale. After all, it is a children’s book, as well as a 1938 Walt Disney film. Yet Ferdinand’s legacy has taken on an unexpected life of its own, with many layers. The pacifist bull who prefers flowers to fighting has been caught in the crossfire of political ideologies, drawing world leaders, behavioural psychologists and top professional sports stars into the argument. Seldom has any book, much less one written for youngsters, become a sounding board for so many. Written in 1936 by American author Munro Leaf, it quickly became a bestseller, with many reviewers proclaiming it ‘the greatest juvenile classic since Winnie the Pooh’. The tale has been translated into 60 languages and has been in continuous publication for over 80 years. The plot is set in Spain with many illustrations depicting Ronda, rural Andalucia and Madrid. Ferdinand, unlike most bulls, is a passive and peaceful creature with no interest in bullfighting. He prefers to smell the abundant flowers, his true passion. One day, men come to his pasture to choose a fierce bull to fight in Madrid. Ferdinand, as usual, is in the meadow indulging his floral fetish when he is stung by a bee. The pain sends him wild, snorting, charging and causing mayhem. Mistaking him for an aggressive bull, the men rename him ‘Ferdinand the Fierce’ and take him away to the capital to fight. In the ring, Ferdinand is distracted by the many flowers worn by the female spectators and refuses to fight. After his adventure, he returns home to his favourite cork tree to continue smelling the flowers. The fictional tale ends there but the story opened up a whole new chapter of controversies. Because of the sensitive time it was written – three months before the start of the Spanish Civil War – hyper-political ideologies on both sides interpreted its meaning through very different lenses. 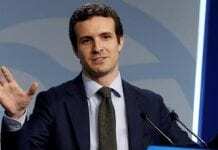 Pro-Franco factions perceived it to be a political tract promoting subversive pacifist propaganda and Franco banned it, calling it a dangerous message that encouraged disloyalty to cherished Spanish traditions. It remained on the blacklist in Spain until after Franco’s death in 1975. 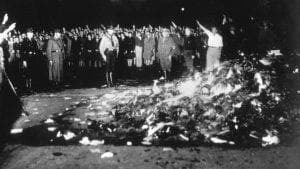 In Germany, Franco’s ally Adolf Hitler was equally inflamed by the books ‘degenerate democratic propaganda’ and ordered all copies to be burned. After the war, attitudes changed. In Germany 30,000 copies were distributed to the country’s youth in an international mission to promote peace, while anti-Franco ideologues saw Ferdinand as a positive metaphorical alternative to the ‘toughest, meanest bull’ (i.e.Franco). Other leftists saw Ferdinand’s behaviour as an effective sit-down strike against capitalist exploitation. The saga didn’t end there. Ferdinand’s message has been hotly debated in the world of behavioural psychologists. The prominent Freudian journal American Imago interprets Ferdinand as the ‘eternal child … locked in happy innocence, nursing himself with the abundance of infantile pleasure’. The professional journal concludes that the bull’s ‘passion for flowers with his nostrils widened and his eyes half closed – like a woman in ecstasy – to be a clear-cut castration threat’. Other psychoanalysts have judged Ferdinand to be manic-depressive, schizoid and homosexual while psychologist Lori Day took another view, calling the story ‘the first children’s book on gender nonconformity’. The LGBT community in particular has embraced Ferdinand’s message. Writing in The Guardian, culture critics asserted that ‘Leaf took on one of the most virile aggressive animals in nature and made him a passive ,loving, almost effeminate creature. Ferdinand’s message resonates with boys who dislike sporty, often violent heteronormative activities. It reflects the stand all non-conformist kids must eventually take, that ‘this is who I am and I will not apologise’. The controversy continues to this day. 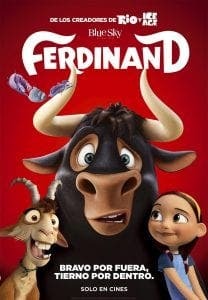 Accomplished Brazilian filmmaker Carlos Saldanha found Ferdinand the Bull so inspiring he produced and directed the 2017 animated movie of the same name, which was nominated for an Oscar. In his own words, Saldanha wanted to ‘capture and preserve the original elements of Spain…yet, also to stay true to Ferdinand’s essence of being a kind, lovable bull’. A long list of famous people have also embraced Ferdinand. President Franklin Roosevelt and First Lady Eleanor greatly admired the book and mentioned it in multiple news conferences. 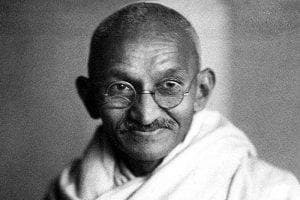 Mahatma Gandhi called it his favorite book. H.G. Wells and Thomas Mann repeatedly said much the same thing. Even Joseph Stalin granted Ferdinand favoured status as the only non-communist book allowed within the Soviet Union. Meanwhile Ernest Hemingway, a Republican sympathizer and bullfighting aficionado, played devil’s advocate with his own children’s story, The Faithful Bull. His opening stanza states: ‘One Time there was a bull not named Ferdinand and he cared nothing for flowers…he loved to fight…he was a champion!’. Many literary critics believe that Hemingway’s piece was a pointed rebuttal to Ferdinand. The Story of Ferdinand is a quick read (less than 800 words) and Munro Leaf claimed it only took him 45 minutes to write. So give it a go and judge for yourself. 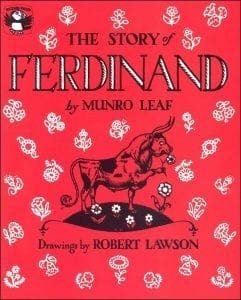 Does Ferdinand tell a larger story? Are there political issues here? Did the story tell you anything about yourself psychologically? Spiritually? Will the text have a permanent place on your bookshelf as it has for so many others? The answers to these questions may not necessarily tell us how Ferdinand sees the world but rather how we see the world. What’s your take? 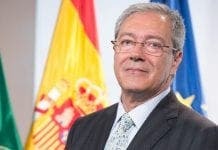 Next articleIs Mijas really a democracy? If a simple bee-sting turns Ferdinand into a fierce, angry bull, imagine the effects of banderilleros and picadors, on him,while he is sniffing the ladies flowers. Doubt if old Ferdie would stay chilled…. The tale of course, is just an anti-bullfighting parable, written by someone ignorant of the true horrors of a bullfight.